This is our Fifth Element addition to the Nerdoh range. Bruce Willis’ character worked for Zorg Cabs, which our new The Fifth Element design is inspired by. 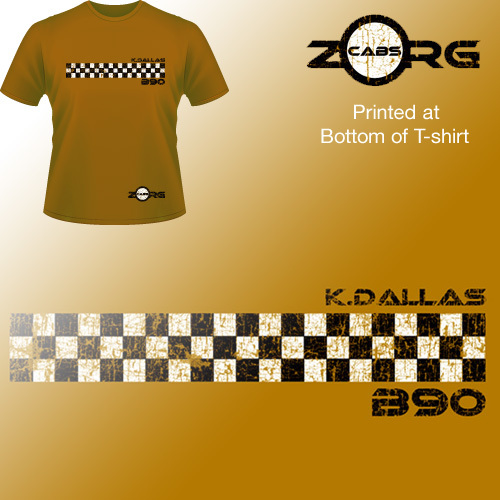 Includes a nice hem print with the Zorg cabs logo, as well as a cheque pattern and Dallas name and number. Nice, distressed print on a Camel coloured, thick cotton t-shirt. If are a big fan of The Fifth Element then this could be something for you. 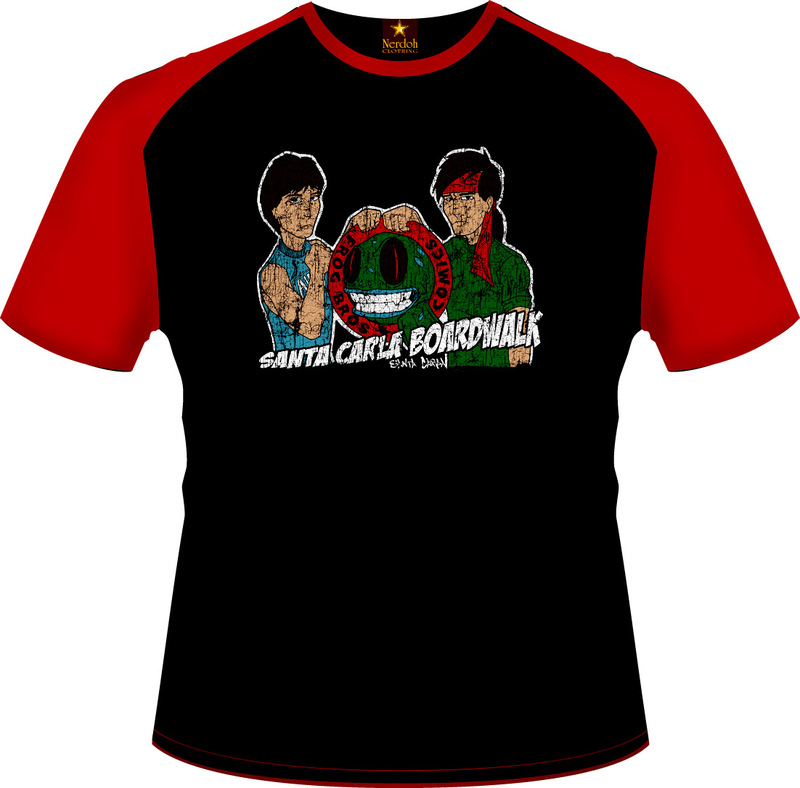 Brand New Lost Boys inspired design added to the Nerdoh range. Having a very 80s retro band look, our new The Lost Boys movie design has a very distressed print inspired by the Frog Brothers who own the Comic Store on the Santa Carla Boardwalk. It is printed on one of the best baseball style black and red t-shirts available on the market. Thick, soft, side slits and stunning quality. If you like your old 80s band-style tees, then this design would sit well in any wardrobe. 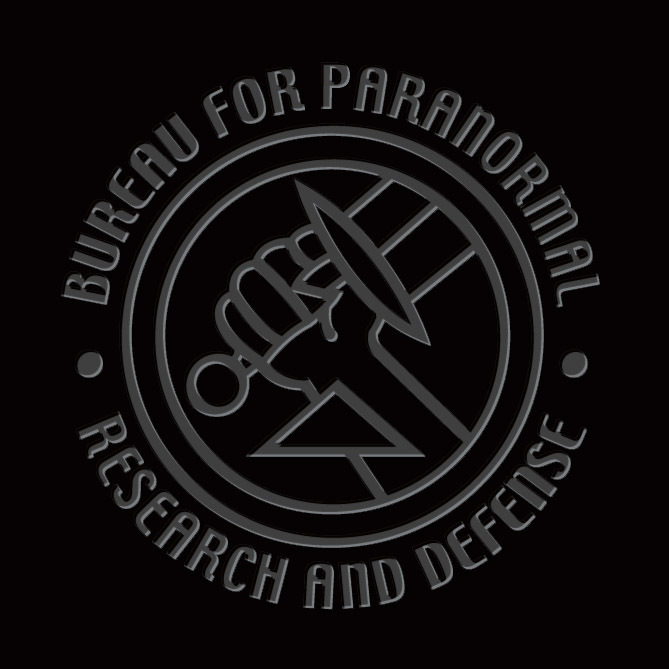 NEW to Nerdoh’s range is this black on black Hellboy inspired design. We wanted a very classy feel to our new Hellboy inspired design, so we have used a puffed up black ink on a black t-shirt. This means that the black ink stands proud of the shirt, to give it a bit of texture and nice chunky feel. 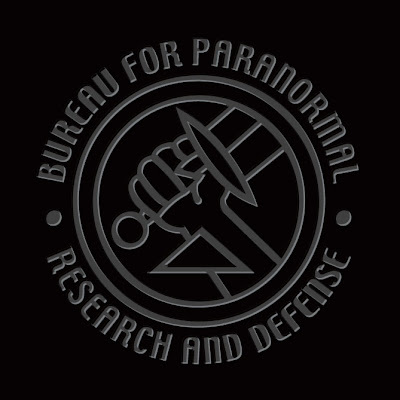 Bureau for Paranormal Research and Defense is agency which Hellboy works for. Again, we use only the best quality t-shirts to print on and take time and care in getting the best look and style. 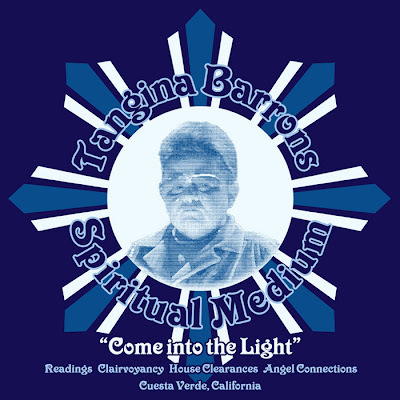 Brand New to our Nerdoh range is this design inspired by Poltergeist and especially Tangina Barrons, the spooky medium who helped the family 'clear' the house. 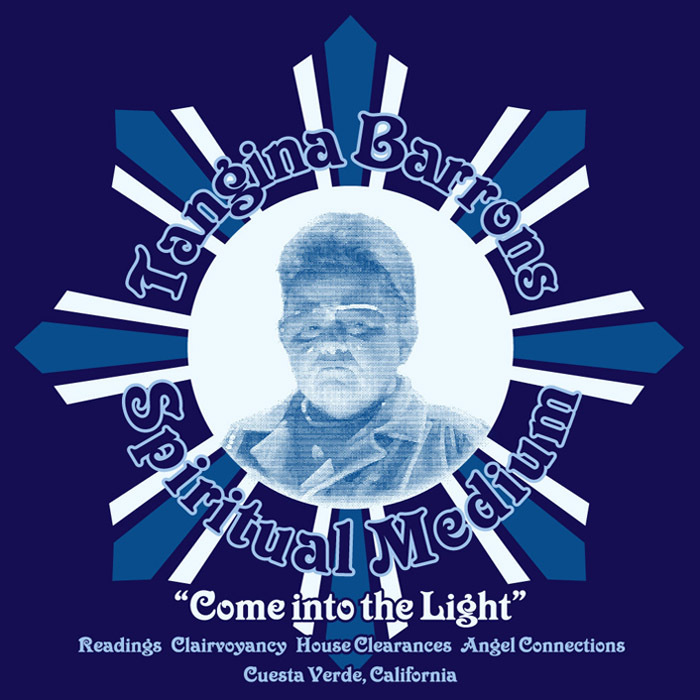 To give it a VERY special and spooky feel, it is a GLOW IN THE DARK PRINT with a Secret message that you can only see, when alone (not really alone) in the dark!! Also, printed in dark blue, light blue and white on a Navy blue t-shirt AND hoodie, of the highest 100% thick cotton materials. We hope this is something a little different with a cool twist. 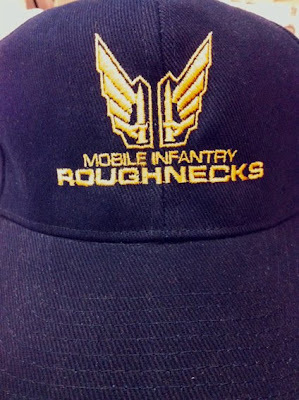 Nerdoh’s new baseball cap is inspired by Starship Troopers and the Roughnecks Division - Mobile Infantry. Produced on a SUPER quality dark blue cap, embroidered in gold, we have their army logo. Where with pride as you battle the bugs of Klandethden! 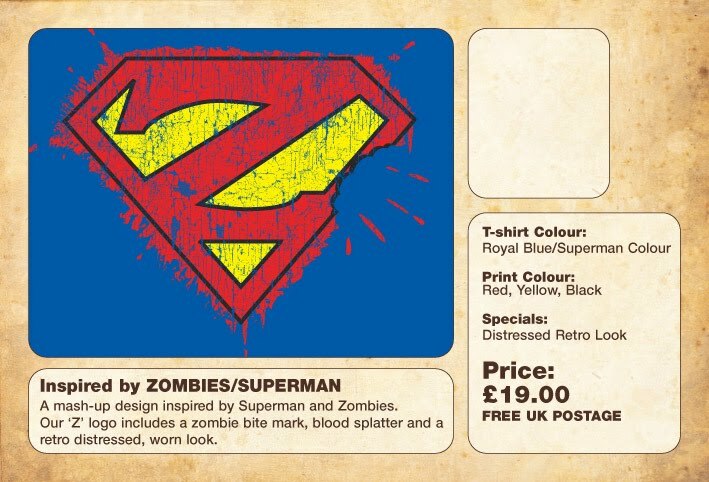 Brand New to our range of designs is this Zombieman t-shirt design. Super quality royal blue t-shirt with a distressed, Red, Yellow and Black print on. Brand new to our collection is this Back to the Future inspired design. Mad professor, Dr Emmett Brown, invented the Flux Capacitor and in doing so, time travel. 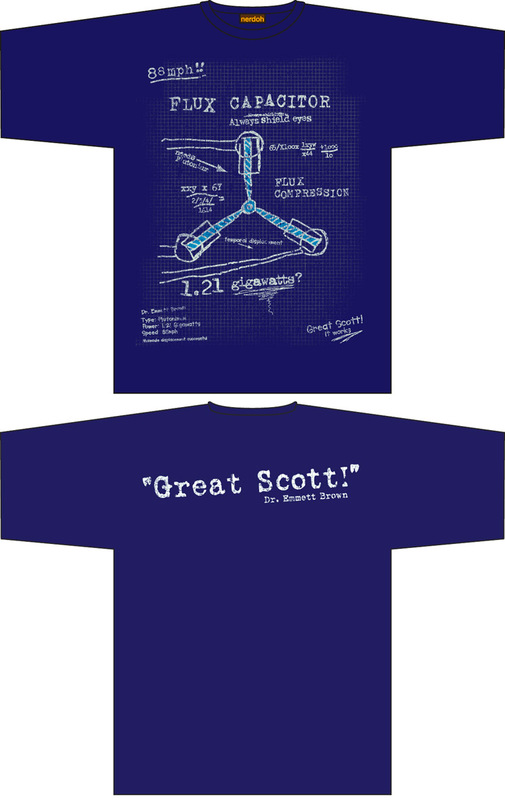 This large front print shows the Doctor’s blueprint and scribblings in his quest. 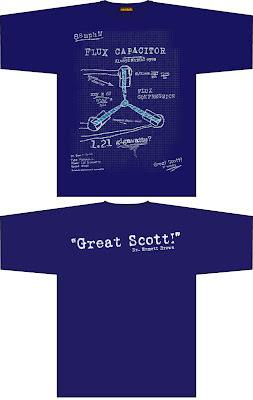 On the back we have a quote from him, Great Scott! Check it out on our Brand New Site!